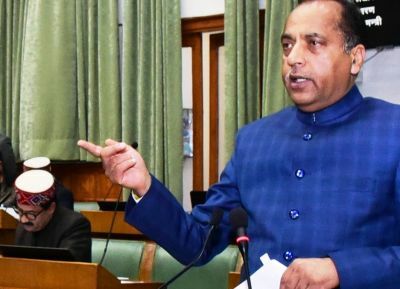 Shimla: Himachal Pradesh’s loan liability has mounted to at Rs 49,745 crore, Chief Minister Jai Ram Thakur revealed it during the ongoing budget session in the house. The loan liability of the state is bigger than the 2019-20 budget, which is Rs 44,388 crore. 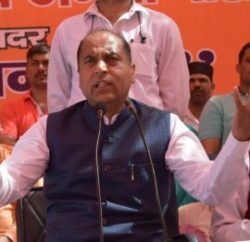 The Chief Minister, in his written reply in the house stated that in present fiscal, the state had borrowed Rs 1,838.75 crore till January 15. 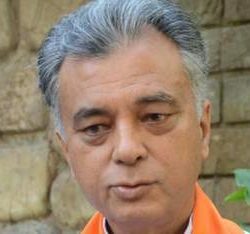 He said, in the current fiscal, the Central had fixed Rs 4,524 crore as the limit for borrowings. 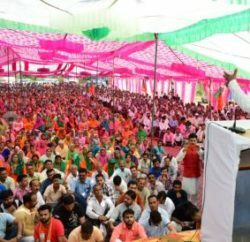 Replying to a question of Leader of Opposition Mukesh Agnihotri, Thakur said the loan limit is 3 per cent of the gross state domestic product. The state has not impressed upon the Central government for a financial bailout package, written reply further revealed. The Chief Minister has presented Rs 44,388 crore ‘populist’ budget for the financial year 2019-20 in the state assembly on February 9. No new tax has been proposed in the budget which saw an increase of Rs 2,948 crore (7 percent) from Rs 41,440 crore in 2018-19. The revenue receipts of 2019-20 are estimated at Rs 33,747 crore, whereas expenditure is likely to be Rs 36,089 crore – leading to a revenue deficit of Rs 2,342 crore. And the fiscal deficit is estimated at Rs 7,352 crore for 2019-20, which is 4.3 percent of GSDP. The net borrowing will be Rs 5,069 crore. In his Budget speech, the chief minister has stated out of every Rs 100 to be spent by the government, Rs 27.84 will be spent on salaries, Rs 15 on pension, Rs 10.25 on interest payment, Rs 7.35 on loan repayment and the remaining Rs 39.56 will be spent on development works and other activities.